Worlds Finest Lowest BER Diseqc Switch. Rainier Satellite is pleased to now offer the world’s finest Diseqc switch. We searched long and hard to come up a product that definitely performs to the high demanding standards Rainier expects, and we’ve found it. 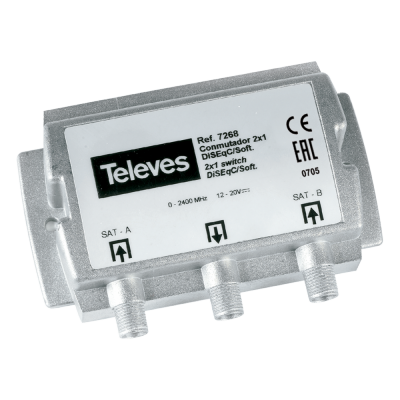 The Televes Diseqc switch provides a rock solid lock on those borderline signals. Ultra low loss, high isolating, low crosstalk design keeps digital bit errors away. This allows only the purest form of signal to get to your receiver. Upgrade today. Frequency MHz: 0 ... 2400. DiSEqC signal amplitude: Vpp 0,3 ... 0,9. Power supply Vdc: 12 ... 20.
to multiple rooms through standard coax. 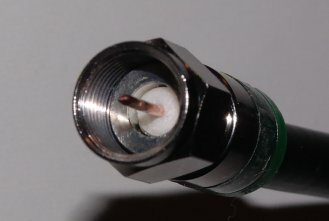 TV Antenna input for SMATV mini cable operation. Low Loss High Isolation Design. Turn your Home into a Mini Cable System. 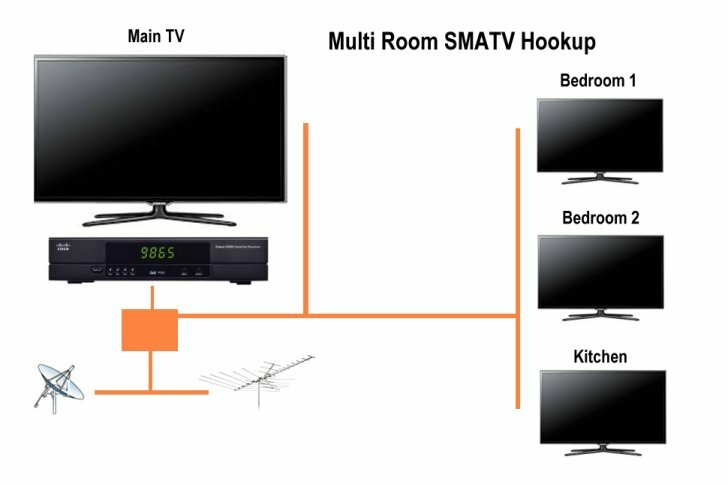 You now can send your Rainier 9865 receivers output signal to multiple rooms, and have your local TV channels all in one coax just like cable does. Rainier makes this easy with a built in transmitter inside the D9865 and this kit. Watch Rainier in the bedroom while the wife watches her favorite local program on your big screen. In house wiring, additional coax and TV antenna required for full SMATV operation. Instructions included. High Quality Low Loss components. For use with our D9865D, H and B receivers. For SMATV operation a TV antenna is required. Additional coax required if no in house wiring is in place. 9 Foot Belden Professional Solid Copper Jumper. 100% Solid copper center core for maximum signal transfer. Dual shield, foil and braid give 100% shielding against EMI and RFI. Heavy Duty self-sealing jacket prevents oxidation and moisture ingress. Professional Belden low loss compression fitting is machine pressed on the coax then crimped. 75 ohm terminated for low SWR. Each cable is tested for continuity and passes quality control before it leaves our facilities. 9 foot cable length assures proper SWR match from Diseqc switch to 9865 for trouble free performance. 9 Foot Premium Professional Quality Jumper uses a RG6u Solid Copper Center conductor for maximum conductivity. For use with frequencies up to 4.5 GHZ. 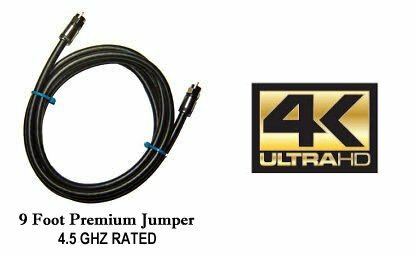 Supports Ultra HD 4K signals. Belden RG6u is 4.5 GHZ swept tested. Professionally terminated with Belden low loss fittings to provide the lowest loss to your receiver. Keep your SWR's low for a perfect match. Solves reception issues. Get the best to connect your Diseqc switch to your 9865 receiver. Made in the U.S.A. Custom lengths are also available. Contact Rainier Satellite for custom length pricing. Pansat Premium Quality 4x1 DiSEqC Switch. Wideband 54~2400 MHz with Good Isolation between ports. This prevents interference and allows better C/N ratio to satellite receiver. Better overall reception with lower BER. These are the original Pansat model made by Pansat, not a cheap knockoff found elsewhere. Connect up to 4 C & Ku LNB's or LNBF's. Recommended for use with our D9865D, H and B receivers and other brand FTA receivers. Everything you need to slave your Rainier receiver to your 4DTV or other analog receiver mover. 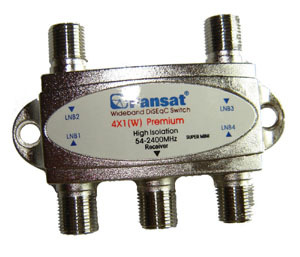 Includes a Quality Low Loss High Isolation High Frequency Splitter and Compression Connector Jumpers made with High Grade 4.5 Ghz cable.  4.5 GHZ Swept Tested. The Ultimate! Actuator 2 motor and 2 shielded sensor wires. Get the Signal with maximum picture resolution with Rainiers Premium Quality Dual RG-6/U Type Precision Low Loss Serial Digital Video Coax by Belden. SOLID COPPER CENTER CORE (not steel clad center, copper coated like bargain brands) for maximum signal transfer. Better overall reception with lower BER. 4K Ready. Cables Made in USA. Works great with the Rainier Cisco D9865H Receiver. 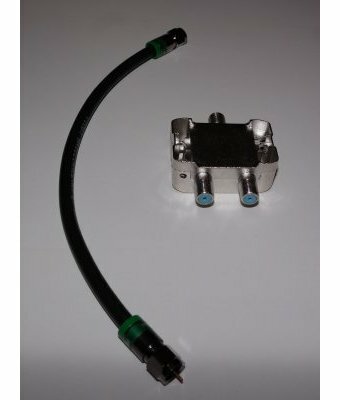 Premium Actuator Control Cable has 18 AWG Stranded Motor Pair + 22 AWG Stranded Shielded Pair for sensor. Get accurate reed sensor counting using our premium cable. Works great with the Pansat AP-600 Dish controller. 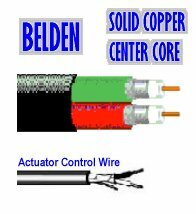 -Belden Dual Coax: $2.25 per foot. 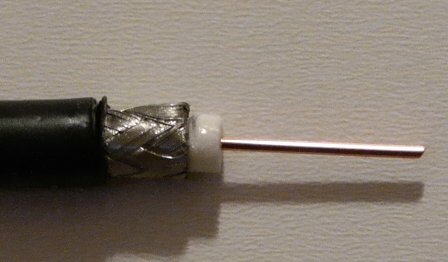 -Actuator Control Wire: $0.95 per foot.